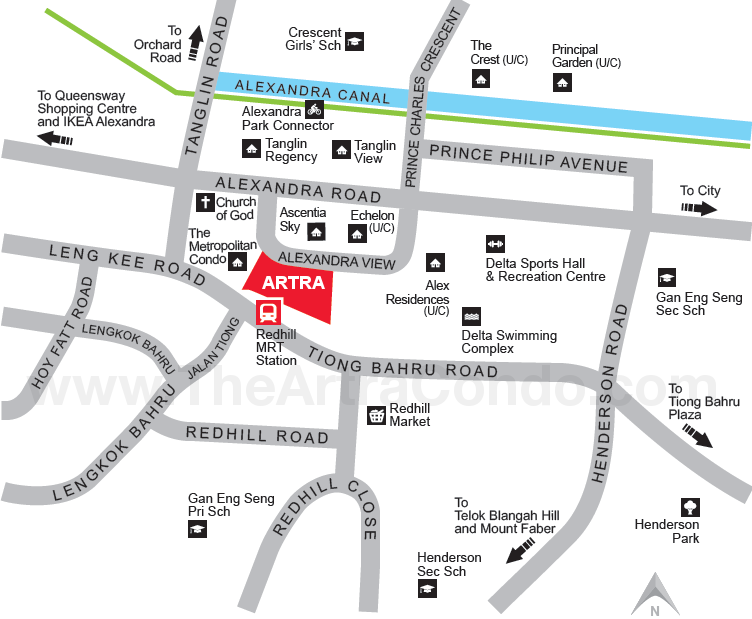 The Artra condo location, right on the doorstep of Redhill MRT Station less than 10 minutes drive from Orchard Road, is really attractive. It is also just on the fringe of the CBD, 3 train stops to Tanjong Pagar and 4 stops to Raffles Place and the gateway to the financial district. The Artra sits in the midst of several condominiums, including Ascentia Sky, Echelon, Alex Residences, and The Metropolitan. It is bordered by Alexandra View on its north, where the main entrance will be. On its immediate south is Redhill MRT station, to which it will have direct access, and beyond which is Tiong Bahru Road. 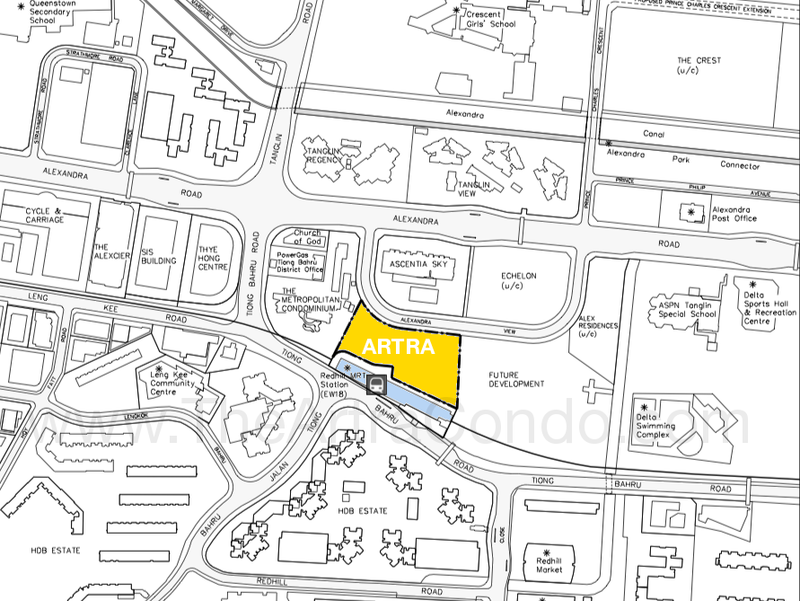 The Artra location is a plum one, in the city-fringe residential estate of Redhill that comes with a complete range of amenities, and HDB flats that border on $1 million. It is also close to the Bishopgate / Jervois area, home to several embassies.
. 12 minutes MRT train ride to Raffles Place station.
. Less than 10 minutes drive from Orchard Road.
. 25 minutes by bus from Orchard Road.
. 8 minutes drive to the Botanic Gardens. Please register here if you would like to be kept updated on the Artra condo launch.